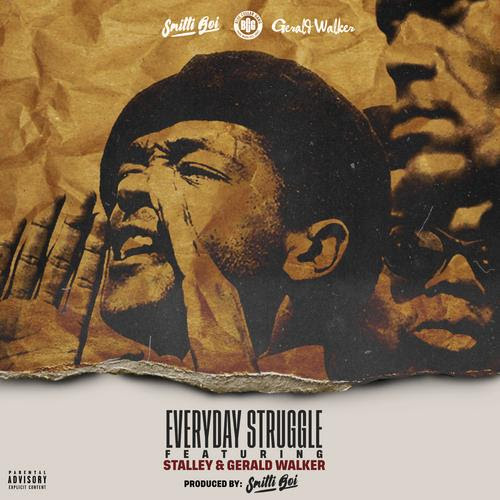 Stalley's Blue Collar Gang (BCG) label is in full effect with the team's latest collaboration, "Everyday Struggle." BCG Head of A&R and producer Smitti Boi(@therealsmitti) teams up with Stalley (@stalley) and artist Gerald Walker (@walkwithgerald), who was recently signed to the BCG label, for this record. "Everyday Struggle" follows Stalley's epic 3 volume, Tell The Truth Shame The Devil project. This soulful record, produced by Smitti Boi, keeps his momentum going after co-producing “Robbin” from Tee Grizzley's debut album, Activated which debuted at no. 10 on Billboard 200.